We are deeply saddened to hear about the passing of Greg Escalante. He nurtured an environment for art and artists with great generosity of spirit. He will be missed. Our thoughts go out to his family and friends. WEDNESDAY NIGHT – DON’T SLEEP ON THIS ONE! 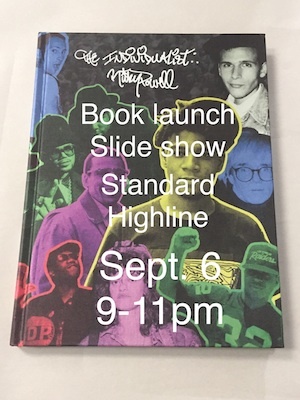 We’re celebrating the release of Ricky Powell’s latest photo book, The Individualist, with his world famous slideshow at Le Bain, at the Standard Highline Hotel in NYC. 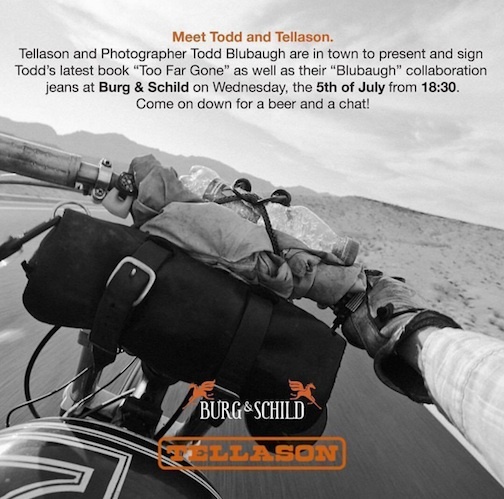 Join Todd Blubaugh for a beer and chat at Burg & Schild at Rosa-LuxembergStrasse, 3 in Berlin on July 5th, starting at 6:30. He’ll be signing copies of his fantastic book “Too Far Gone”. Steven Heller interviews Rudy VanderLans about his new book Still Lifes, U.S.A.
Steven Heller offers high praise for VanderLans’ latest photography book Still Lifes, U.S.A in his interview with Rudy for The Daily Heller. 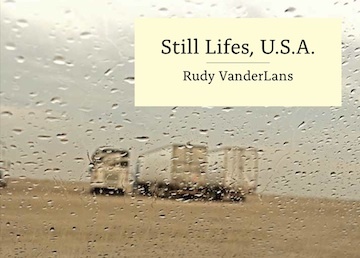 “Rudy is a modern-day Walker Evans with a touch of vintage Edward Ruscha thrown in, yet totally his own.” In the interview VanderLans offers some fascinating insight into his approach to photography as a designer. Irenebrination recently wrote a beautiful review of Shelter, a new book by artist Moki. The review captures the complex messages of Shelter as well as the novel style of Moki’s woody artistic creations. 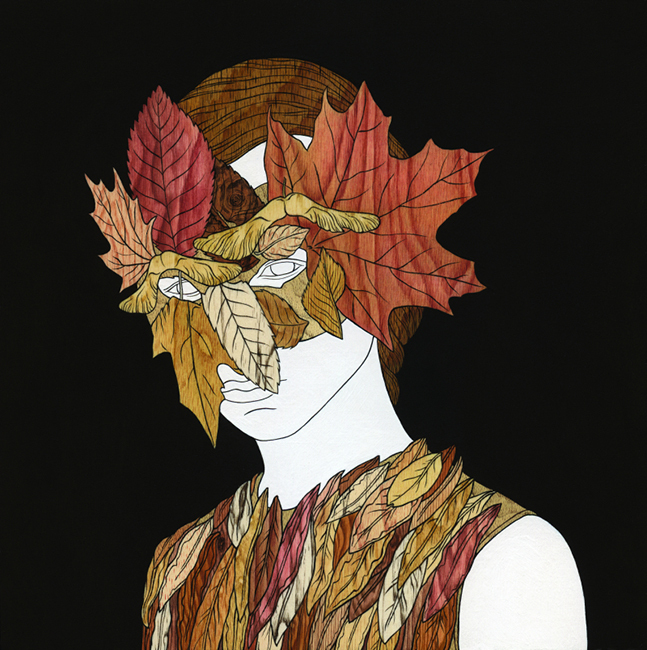 Read the review here to learn more about the profound metaphors of Shelter and the wood-centric practice of artist and author, Moki. Purchase Shelter, an artistic meditation on human refuge and sanctuary, at Gingko Press. The article details Blubaugh’s personal journey down the west coast after the death of a close friend. ChopCult’s interview captures the beauty of his photographic memoir and its resonance for bikers. 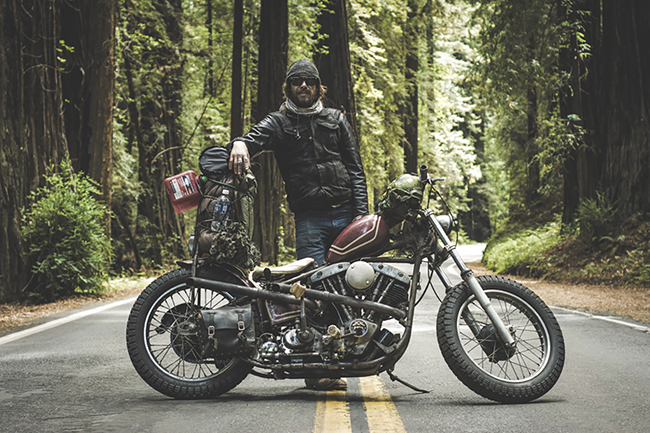 Purchase Too Far Gone, a snapshot of American motorcycle culture, at Gingko Press. “OBEY: Earth Crisis” and More Albin Michel Titles are Now Available! 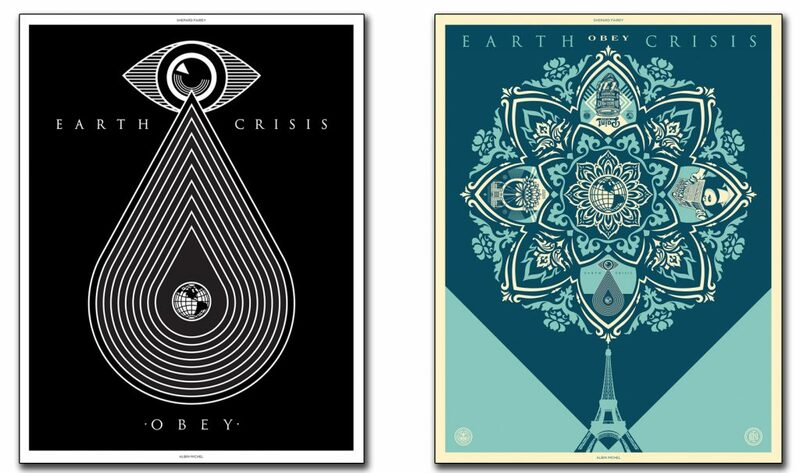 OBEY: Earth Crisis, a two-volume collection of 25 years of Shepard Fairey’s environmentally-focused work, has just arrived in our warehouse all the way from France courtesy of French publisher Editions Albin Michel. This substantial bilingual set (Engl./French) features two volumes packaged together in a slipcase; Volume One includes over 100 pages encapsulating Fairey’s entire catalog of environmentally themed work, while Volume Two is a massive board-bound 10-print set, with prints suitable for display either intact or as frame-worthy stand alone pieces. Also available now are several others of Albin Michel’s high-quality bilingual contemporary street art titles: C215, a monograph on the titular prolific French artist, and the stunning collections Djerbahood and Tour Paris 13. Find them now at Gingko Press! 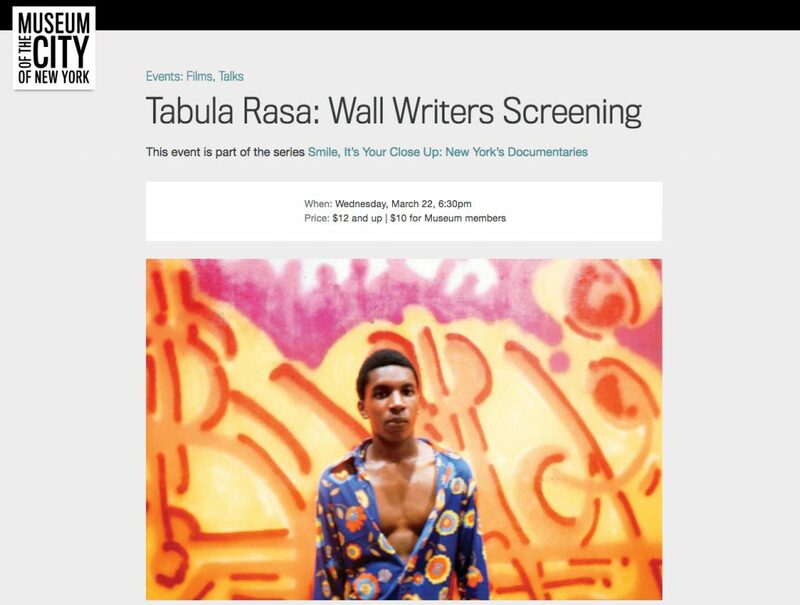 Roger Gastman’s documentary “Wall Writers: Graffiti in its Innocence” returns to New York on Wednesday, March 22, 6:30 pm, with a showing at the Museum of the City of New York. Tickets are $12+ and only $10 for members, and they say “The companion book, Wall Writers: Graffiti in Its Innocence, will be available for sale – and signing! – following the program.” According to the museum, “director Roger Gastman will join legendary graffiti writers MIKE-171, Wicked Gary, and COCO 144 for a talkback” after the film, and it will be introduced by curator Sean Corcoran. The screening is part of the museum’s Smile, It’s Your Close Up: New York’s Documentaries series, which “zooms in on key moments, individuals, and communities across the five boroughs to pose the question, ‘What makes New York New York? '” Visit the event page here for more information. 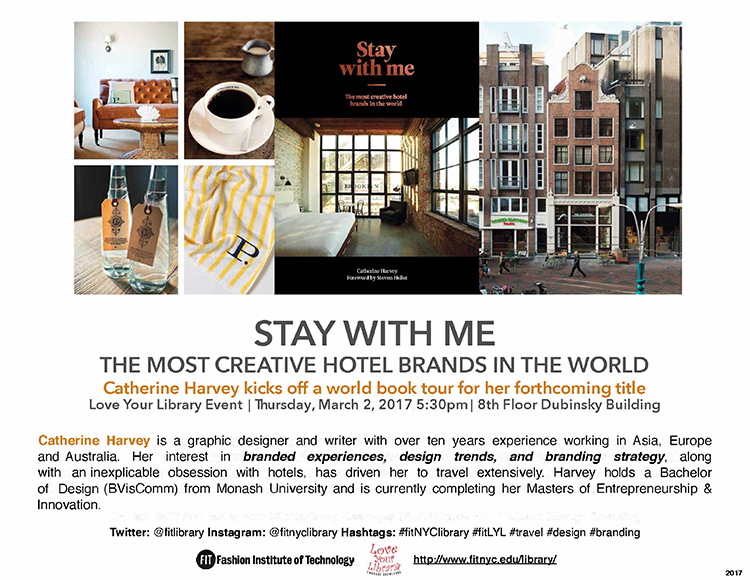 Catherine Harvey’s global book tour celebrating her new work Stay With Me: The Most Creative Hotel Brands in the World begins tonight in New York City, in FIT’s Dubinsky Student Center. The Love Your Library Event is free and open to the public, and the book will be available for presale. Learn more about the event at FIT’s website here. Stay With Me, which features a global selection of the best and most creative hotel branding, interior design and brand identities in recent years, will be available May 2017 from Gingko Press.